Who would have thought such a small amount of cream could transform and make a dish hey! Great job! Simplicity is always so appealling. You can never go wrong with a touch of cream. Gorgeous tart - I bet this didn't stay around long. I love that moment when you figure out the secret to a dish. I can exactly picture how the cream transforms this apple tart. I'll have to try it! How utterly wonderful...thank you thank you for recipe :)!!!!!!! Delicious! Not even a lot of cream - healthy, I would say! As we approach summer I appreciate your wonderful wintery photo! Ahhh....one day! This looks so good!! Awexome that you were able to figure out the recipe on your own and I bet when you first tasted it was a good feeling! I am drooling over the picture!! Oh, it looks just perfect! Great job on figuring out the recipe. 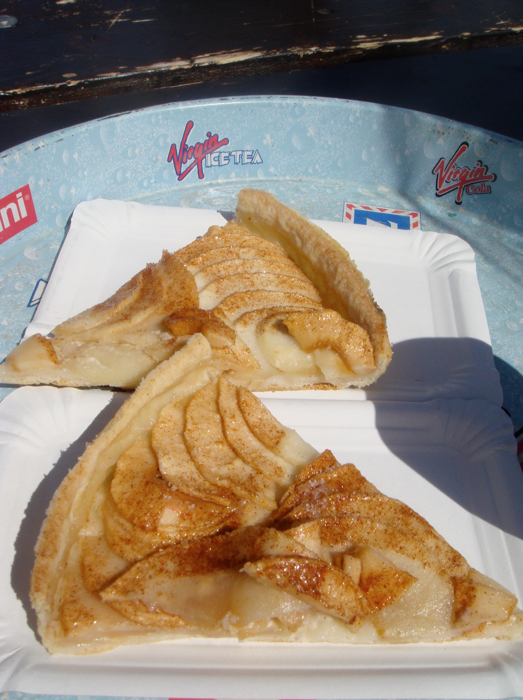 It is always hard to recreate something to the t.
Such a sumptuous tart with seasonal apples. 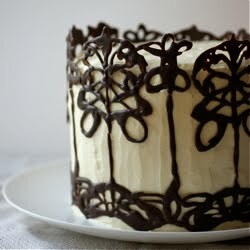 A very delightful treat to savor with a cup of tea. It is just beautiful! This looks absolutely gorgeous (as does the beautiful photo of sparkling snow!). How wonderful to be able to create a dish that you love so much, and with something as simple as a touch of cream. Beautiful. Sips and Spoonfuls - Crazy, isn't it - just a little touch. Sally - Simplicity is wonderful, as you say. Something so comforting about it. It didn't stay around at all - I gobbled it up at a quite ashaming rate. Maria - My pleasure! Glad you like it. Marcellina - Haha yes it's positively angelic! 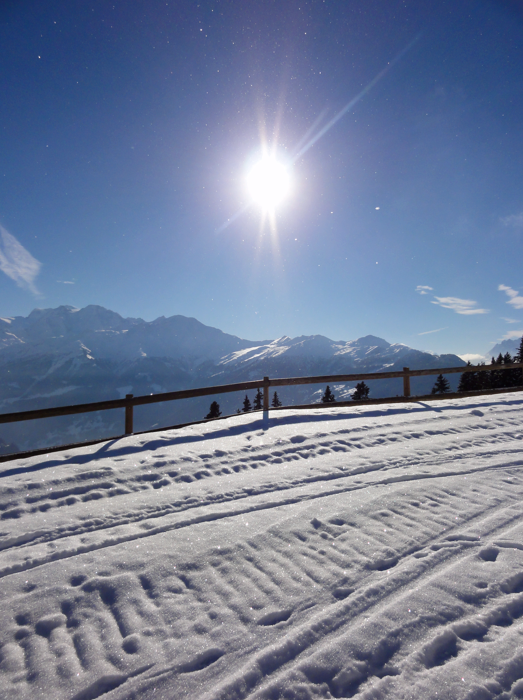 (especially when I add hot chocolate...) To be honest, Verbier is very sunny and we have no snow at the moment - that is from last year! Courtney - It was such a good feeling when that flood of recognition came through. Glad you like it! Kirsten - It is difficult - I should probably have layered the apples a little thicker to be totally correct, but I like how light it is like this - just a snack, not a heavy pudding. thelittleloaf - It's a wonderful feeling - I've been wanting to know how to make it for ages and I've never plucked up the courage to ask the recipe, even though we know the owner and his family (Simon himself helped my mum find me on his skidoo when I got lost on the slopes as a 3yr old!). Emma, this does look like simple perfection. Isn't it so satisfying when all those attempts to recreate a taste you love actually work? I would be dancing too! And thanks for that sweet note about my mom. This tart looks like absolute perfection. Seriously, everytime I see that first photo I start drooling! 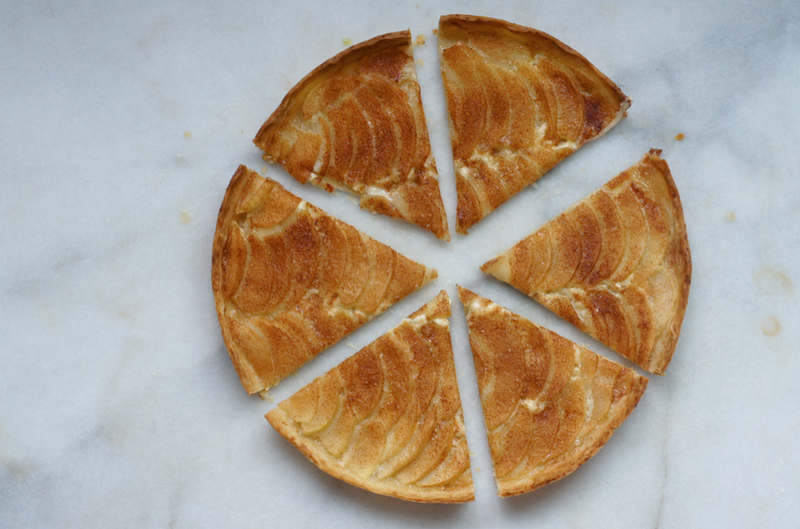 This apple tart turned out beautifully: very thin, with delicate flavours =) thank you for posting this recipe! Anonymous - Glad you like it. It was very addictive, I had to have a second slice! Oh my goodness, this is beautiful. And a perfect way to use apples. Can't wait to give this a try soon. This looks beautiful! 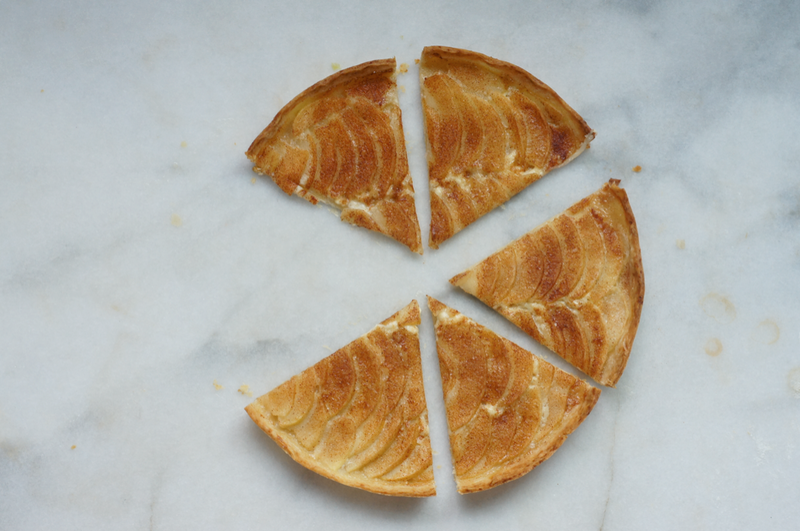 I have so many childhood memories based around tarte aux pommes – I always got the task of layering the apples whenever my mum made one. We usually make an Alsace-style tarte with lots of cream, but I think next time I make one, I'll try your version to compare – it certainly looks delicious! !